Save yourself some headache with this bookcase bunk bed. The Large cubbies can be used to store clothes, shoes, and toys. So you can make sure they put their things back in place with zero excuses. The cork board siding can be useful for posting chores lists, art, or little notes. 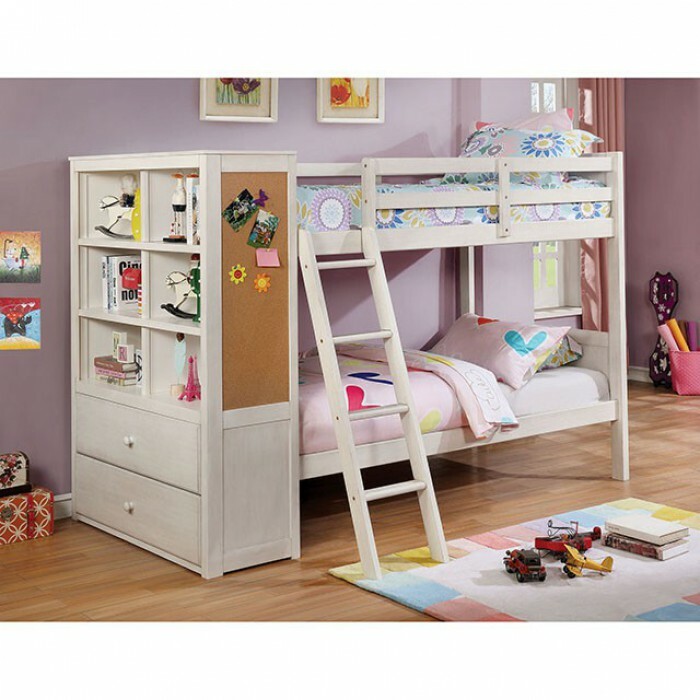 The top bunk is safely secured by wooden side rails and the attached ladder ensures easy climbing.